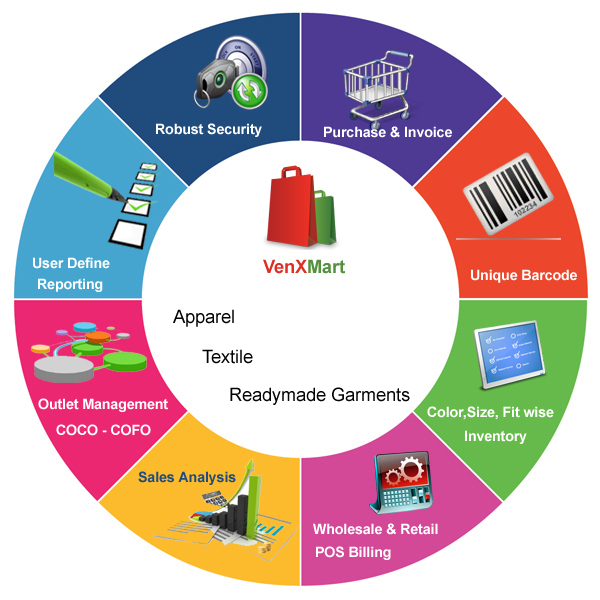 VenXMart Software is dedicated in providing automation solutions for textile and garment Retailers and wholesalers. We have been providing software solutions for this particular industry. We form long term relationships with our clients. Uses the best function throughout the entire program. One-stop solution loaded with intelligent features such as unique bar-coding, quick stock taking with handy terminals. It handles product age/type based sales staff incentive, rapid liquidation of non-moving stocks, calculation of accurate landing costs to fix margins etc.